Then, after Zita's twelfth birthday, the princesses all fall mysteriously ill. The only clue is their strangely wor Zita is not an ordinary servant girl—she's the thirteenth daughter of a king who wanted only sons. When she was born, Zita's father banished her to the servants' quarters to work in the kitchens, where she can only communicate with her royal sisters in secret. To ask other readers questions about The Thirteenth Princess, please sign up. how many pages are there in the thirteenth princess? The Shayne-Train Right up top there it says 256 pages. The story of the twelve dancing princesses isn't one of the most popular fairy-tales to be retold (i.e. Cinderella, Beauty and the Beast, Sleeping Beauty) but definitely isn’t one of the most neglected either. This take on it adds a thirteenth princess which was appealing to me. Zita is also a servant while her sisters are just regular princesses-until the enchantment starts taking its toll on them. The book had the same feel of the Once Upon a Time Series books; the writing style of it anyway. The story of the twelve dancing princesses isn't one of the most popular fairy-tales to be retold (i.e. Cinderella, Beauty and the Beast, Sleeping Beauty) but definitely isn’t one of the most neglected either. This take on it adds a thirteenth princess which was appealing to me. Zita is also a servant while her sisters are just regular princesses-until the enchantment starts taking its toll on them. The book had the same feel of the Once Upon a Time Series books; the writing style of it anyway. Good for a young audience. The character Zita is nice and caring; doesn't have a mean bone in her body. Having twelve sisters we didn't get to see their personalities all that much. More of the focus is on characters like Cook (and can anyone tell me why Cook doesn't have a real name? ), the witch, and the stable boy. The plot moved steadily though there were a few parts where I felt like there was nothing going on, which was a bit frustrating. The ending was predictable but it's a retelling, what can you expect? I have come to realize that I will always read fairy tales. It's what I always reach for when I need a comfort read. They are all almost easy to read and sweep you away with their magic. That's why these stories stand the test of time. People know the story of the twelve dancing princesses, but do they really know the whole story? The answer would be no. Unbeknownest to most people there was a thirteenth princess named Zita. Zita is named after the saint of servants, and unlike her other sisters I have come to realize that I will always read fairy tales. It's what I always reach for when I need a comfort read. They are all almost easy to read and sweep you away with their magic. That's why these stories stand the test of time. People know the story of the twelve dancing princesses, but do they really know the whole story? The answer would be no. Unbeknownest to most people there was a thirteenth princess named Zita. Zita is named after the saint of servants, and unlike her other sisters doesn't get to gleam in the lifestyle of a princess. Though Zita being a servant has made her feel unloved by her father, she does befriend the cute stable boy Breckin, and meets his older brother Mileck who will play in important role in the story. She comes to learn that she is a princess and as she grows closer to her sisters she finds out that there is something ailing her sisters. Finding out the gravity of the situation she sets out with Breckin, Mileck and the help of a benevolent witch to stop whoever is behind the curse upon her sisters. I was a little worried about the length. Most of the time I have gripes about how the novel is not long enough and doesn't give a chance for the characters to develop. Though the development could have been a little better I was mostly satisfied with it, and ended up caring about the characters. It stays true to fairy tale form and ends happily:) If you loved this one read Princess of the Midnight Ball to get another great perspective on this fariy tale. A poorly characterized and poorly plotted retelling of "The Twelve Dancing Princesses" told from the point of view of their little thirteenth sister - who was a kitchen maid in her family's castle. Zita is treated more like Cinderella than a princess yet didn't seem to mind - which I find wildly implausible. Her father, who has exiled her to the kitchens, shows signs of loving her every now and again yet somehow never regrets his decision and never invites her back upstairs to live with her siste A poorly characterized and poorly plotted retelling of "The Twelve Dancing Princesses" told from the point of view of their little thirteenth sister - who was a kitchen maid in her family's castle. Zita is treated more like Cinderella than a princess yet didn't seem to mind - which I find wildly implausible. Her father, who has exiled her to the kitchens, shows signs of loving her every now and again yet somehow never regrets his decision and never invites her back upstairs to live with her sisters. And the sisters never really become anything than an interchangeable blur of characters with names starting with the letter A. Personally, I found all of the character's motivations to be highly unbelievable and the plot was all over the place. Though, I just got through reading a depressing classic, and wanted a light read with a happy ending... I grabbed this as the first fairy tale retelling from the local library that popped up on the screen as available, and in the game of library roulette, the result could have been far worse. Really, it only deserves two stars, but I'll grant it an extra one since I believe this would appeal a lot more to the intended middle grade audience than it does to an adult. Zita is the thirteenth daughter born to a king who wanted a son. Her father's anger and disappointment led him to banish her to live a servant's life in the kitchens. Growing up estranged from her family, Zita longs to know and be among her twelve elder sisters. But then all princesses become bedridden and it is up to Zita and her friend, Breckin the stableboy, to find out what is behind her sisters' sudden illness. 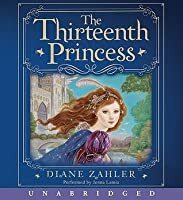 The Thirteenth Princess was my first retelling of The Twelve Dancing Princesses and it was quite simply put a cute fairy tale. Apart from the addition of Zita, it doesn't really change the original tale, but rather expands on it and fleshes it out. I loved how it gave purpose to all characters to show what drives them. Although I found it rather simple for the most of it, the story was cleverly structured with some nice foreshadowing and a very slight but constant presence of apprehension. Zita's narration felt quite traditional in the style of a fairy tale but it also included elements that resonate more with a contemporary story. I felt that in particular in regards to how the girls talked about boys and the like. But this was done so subtly that it actually worked quite well and, if anything, helped make the characters seem more like actual people. Breckin and Zita also share in a friendship with a budding romance. The two of them were simply adorable and their relationship developed at a nice and natural pace. In contrast to other reviews I have read, I felt Zita - aged twelve - and Breckin behaved quite in accordance with their age. But as cute as they were, I was glad that the story wasn't lost in their romance and continued to focus on the sisterly affection. unlike me to be using a gift card so soon after receival. I'm lazy. And forgetful.) mainly for the purpose to purchase House of Many Ways by Diana Wynn Jones. But of course, who can resist the urge in a big book store to look at every interesting looking book that you pass? I wasn't having much luck in the Young Adult/Teenager section, as it seems almost every book there now is about an "ordinary" girl who gets a supernatural boyfriend who's gorgeous, and constantly reminds her that their superficial romance is forbidden. So I abandoned ship and dropped by the juvenile section. And at the veeeerrry bottom of one the shelves, my eye caught a flash of something sparkly. Look at the picture. I mean- it's GORGEOUS! And being me, a weakling around anything pretty, cute, or dealing with princesses, I couldn't beat down the urge to buy it. It's like an ugly beast of an addiction that I have to pretty book covers. Even if I didn't like the book, I would have still been satisfied with the purchase.... just because it's so darn beautiful. It turned out to be not only beautiful, but a pretty good story as well. It's a re-telling of The Twelve Dancing Princesses, which, (gasp!) I've actually never heard the full story before, so I don't know how true to it the book is. I do know that, as suggested by the title, the main difference is that instead of twelve princesses, there are thirteen. The story is about a king who wanted only sons, but had thirteen daughters instead. His wife died during childbirth with the last daughter. Enraged and wracked with grief, he banished the daughter to work as a servant in the kitchen. That daughter's name was Zita. Zita did not know about her true heritage until she was seven years old, but after she found out, she constantly longed to be with her sisters. They found ways to communicate secretly, but it was her father's rage that frightened her away from becoming too close to them. One day the twelve older princesses became very ill, and Zita noticed that their shoes looked worn and tattered, and it was then that she began to solve the mystery surrounding her sisters. I think the thing I liked most about the book were the relationships that Zita had with her sisters. I had expected most of them to be nasty, spoiled brats, as that's usually how it goes in this sort of book. But I was surprised to find that each of the twelve sisters were kind girls who all loved their littlest sister who worked in the kitchen all day. I really enjoyed myself reading about how they interacted, because it reminded me of my sisters and how much we enjoy each other's company. It felt real to me, and made me wish I had as many sisters and a giant room that we all shared together, brushing each others' hair, gossiping, and telling stories. The other characters were great, as well. Zita befriends a freckled stable boy named Breckin who becomes her companion in solving the mystery of her sisters' illness, and eventual love interest. Their relationship was very sweet, cute, and well developed. I hate it when a relationship comes out of nowhere with no basis. I don't believe that stuff. Zita's and Breckin's was done the right way. Breckin's brother, who is sort of the prince type guy and Zita's oldest sister's romance was the love-at-first-sight sort, but I think I can excuse it this time.... just because they were so cute! Anyhow, Zita and Breckin meet an old witch who lives hidden in the forest, and becomes their magical consort of sorts. She teaches them how to camoflauge themselves, just by thinking that they are whatever they're standing by. They use it a lot throughout the book, but the whole concept seemed a little far-fetched to me. I just... I kept wondering that if someone was convinced they were something other than who they were (I don't know.... a mentally disturbed man who was convinced he was a duck), if he stood next to a duck, would he disappear? Perhaps I'm being over-analytical, but for whatever reason, that part of the book bothered me. The other bit that I didn't like was the witch. The witch wasn't the most impressive and original character I've ever read about. She was basically my grandma with magical powers. Not that my grandma isn't great! But I'd like to read about someone different. I kept expecting her to do something that would reveal a fascinating part of her.... but she never really did. Not even when she revealed who exactly she was at the end. Which, I suppose it was part of her role in the story- being the grandma lady to everyone , but I felt there could have been more done to her. I only had one other qualm with the book, and I'm going to discuss some spoiler-ish type things, so don't read if it'll ruin the book for you. So it was at that the climax of the book at the end, where we discover that the one who cursed the princesses to dance every night was actually the kind old nurse who has appeared throughout the book. Why? Because she was in love with the king, jealous that he loved another woman, had thirteen kids, and was enraged that paid her no mind when his wife died. Thus she turned her jealousy onto his daughters, hoping that she could comfort him as they slowly withered away, and when they died, have him fall madly in love with her. Maybe it's how it happened in the original tale, but the author could have at least foreshadowed it; had some clue that the reader wouldn't catch during the book, but then realize it all at the end. There was nothing! Nothing pointed at the nurse. Was it the intention of the author to make it impossible to guess? It may have, but as a reader, I enjoy figuring things out as I go, or at least, being completely in the dark, but then having that "aha!" moment at the end, because everything now makes sense. This reminded me seriously of Lord of the Flies. You know, when the climax was super intense, and then it was all resolved by the random naval officer who showed up on the beach? There was nothing building up to it- it just.... happened, with no correlation with the plot whatsoever. So that was a bit disappointing. I felt slightly cheated of my intelligence, but it wasn't too bad, because the majority of the book was good. I enjoyed the resolution after the big thing with the Nurse, and it gave me that fuzzy feeling inside. All in all, it was a good fantasy with a main character who was a girly princess at heart, but was still a strong heroine that didn't totally rely on a knight in shining armor to save her. That's a good combination in my eyes. AND it's got a great cover! This story is all about Zira, who finds out that she is the thirteenth princess. She is the one who can save her sisters when the princesses all fall ill. Together with Breckin, Babette en Milek, Zira must try to find a way to break the curse before it is too late. Something is terribly wrong. Her sisters are becoming very sick. They are tired all the time; they can't get out of bed anymore. Zira discovers that they are cursed: they must dance every night by going down in the dumbwaiter (the same spot Zira uses every sunday) under the lake. They must dance non-stop and that's why they are so tired. Zira must find a way to break the curse before it is too late. But how? And who is behind the curse? Oh, how I loved this twist on the original story! It really sticks to the story, but I love the addition of another sister. Zira is such a fun character! She is very nice, but stubborn at the same time. She knows what she wants and she is brave. I like the fact that, even when she finds out that she is a princess, she stays the same. Zita is the thirteenth daughter of a king who only wanted sons, and when her mother dies during childbirth, the king banishes Zita to be raised as a servant in the castle. Zita steals little moments with her twelve sisters, but must sneak around the castle to keep it a secret, terrified of her father's anger. When the twelve princesses fall ill and their shoes are worn through every morning, only Zita knows the secrets ways to sneak into their bedrooms and watch where they go at night. The princ Zita is the thirteenth daughter of a king who only wanted sons, and when her mother dies during childbirth, the king banishes Zita to be raised as a servant in the castle. Zita steals little moments with her twelve sisters, but must sneak around the castle to keep it a secret, terrified of her father's anger. When the twelve princesses fall ill and their shoes are worn through every morning, only Zita knows the secrets ways to sneak into their bedrooms and watch where they go at night. The princesses are trapped in an evil enchantment that forces them to dance until dawn, but Zita can't find a prince who is willing to save them! I loved this book from start to finish! Every chapter is wonderful! Zita is a fantastic main character, and I was pulled along with all her emotional family experiences. She longs for her father's love, and there are so many ups and downs on that journey. She tries to please him, she thinks maybe he notices her, then she does something to make him angry, and all her hopes are dashed. She just wants to belong and feel safe in her own family, and it's heartbreaking and beautiful to read about. I love the magic! I was in complete suspense the whole time about the nature of the enchantment, and who cast it, and how Zita could possibly break the spell. The plot really moves along with not one boring moment. I loved the little bit of romance in this book, sweet and innocent and delightful, with ordinary fellows turned into dashing heroes, and little stolen glances and blushing remarks. I love this book with a passion and fervor that maybe only a book read during a cold could provide. I've spent the past four hours curled up under a pashmina, utterly charmed by this fairy tale. I was a little hesitant to read this so early in my Cybils work, since the cover has more sparkles on it than a Blingee. Seriously, this is one of the poorest covers I've come across this year. It doesn't do the middle grade market any justice by going for a cartoony effect and it doesn't match Zahler's I love this book with a passion and fervor that maybe only a book read during a cold could provide. I've spent the past four hours curled up under a pashmina, utterly charmed by this fairy tale. I was a little hesitant to read this so early in my Cybils work, since the cover has more sparkles on it than a Blingee. Seriously, this is one of the poorest covers I've come across this year. It doesn't do the middle grade market any justice by going for a cartoony effect and it doesn't match Zahler's writing style at all. The story is a true underdog princess story, in the fashion of The Ordinary Princess, and deserves a marketing package in that certain understated style. The inside illustrations for the title page, depicting the 12 princesses late night dance sessions, are far more compelling than this initial visual. Zita is a well-written character, dealing with the separation from her family, her father's anger, her growing feelings for Breckin (dibs on baby name rights should my child come out freckled) and the slow dissolution of her sisters' health with a no-nonsense attitude. She's not perfect, or perfectly unperfect either. She bends over backwards for her jerk of a dad and is constantly taking risks for those she loves. It's really hard not to love her in return. I'm going to make a bold statement and give this one a spot on my working shortlist, alongside The Search for WondLa. Secret Fact #135: I adore underdog princess stories. Most people who have enjoyed fairy tale-based fantasies by Gail Carson Levine, Donna Jo Napoli, and others will find this a pleasant and well-written diversion. Although not as funny as Levine's tales or as psychologically insightful as Napoli's, there is plenty of substance here. Zita is as plucky a heroine as one could want, yet her father's failure to love her fills her with both puzzlement and despair. 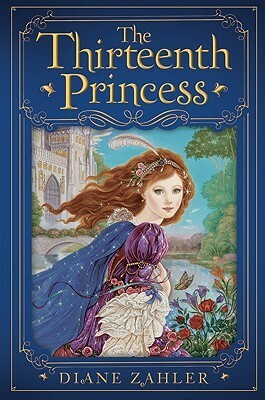 The twelve princesses remain unsurprisingly interchangeable, for the most part, but their Most people who have enjoyed fairy tale-based fantasies by Gail Carson Levine, Donna Jo Napoli, and others will find this a pleasant and well-written diversion. Although not as funny as Levine's tales or as psychologically insightful as Napoli's, there is plenty of substance here. Zita is as plucky a heroine as one could want, yet her father's failure to love her fills her with both puzzlement and despair. The twelve princesses remain unsurprisingly interchangeable, for the most part, but their father is more complex. Elements of other fairy tales are intriguingly wound into the story, adding both freshness and depth. The tale isn't totally satisfying. Although we learn the motive behind the enchantment of the princesses, the details aren't explained. Why the silver and diamond trees? Why the elaborate food at the nightly enchanted balls? Yes, these are part of the traditional tale - but their presence in this tale remains an enigma. The breaking of the enchantment is quite rushed, and in fact all the magical bits are a bit too easy. For example, Zita and Breckin instantly master the magical art of blending so perfectly into their surroundings as to become invisible - this comes in very handy, of course. This review has been hidden because it contains spoilers. To view it, click here. I love fairy tales and retellings of fairy tales, so when I saw this one - a retelling of the Twelve Dancing Princesses with a beautiful cover, I immediately picked it up. Sadly, I was rather disappointed in the content. The techincal level of the writing is decent, but the main problem revolves around the story itself. It was very predictable and bland. There were surface elements that made the story somewhat new, but at heart it's tone was like reading the exact same story out of the fairy tale I love fairy tales and retellings of fairy tales, so when I saw this one - a retelling of the Twelve Dancing Princesses with a beautiful cover, I immediately picked it up. Sadly, I was rather disappointed in the content. The techincal level of the writing is decent, but the main problem revolves around the story itself. It was very predictable and bland. There were surface elements that made the story somewhat new, but at heart it's tone was like reading the exact same story out of the fairy tale conpendium I have. It read like a fairy tale. But not in a good way because it didn't add to this story. It didn't make it feel fresh and new, it made it feel tired and old. Furthermore the ending fell very short of satisfactory. In a revelation scene at the end, we learn that the princesses Nurse was the witch who had enchanted them. But there was absolutely no foreshadowing of this. It's just out of the blue. It felt like a very weak and amateur end. It was like having a bad guy pop out, twirl his mustach and cackle about his elaborate plan. It was just that poorly executed. This story does not seem like its title. It’s not all about fairy god mother, or seven dwarfs. It’s a story that includes magic, weird dreams, and a witch. There are also Kings, Queens, Princesses, And Prince’s. The setting takes place in a royal palace, and a wonderful kingdom. The King of this wonderful Kingdom marries a wonderful Queen. The Queens name is Amara. The King loves her so much that he decides to name all there children with the first initial “A.” When the 12th princess comes, the This story does not seem like its title. It’s not all about fairy god mother, or seven dwarfs. It’s a story that includes magic, weird dreams, and a witch. There are also Kings, Queens, Princesses, And Prince’s. The setting takes place in a royal palace, and a wonderful kingdom. The King of this wonderful Kingdom marries a wonderful Queen. The Queens name is Amara. The King loves her so much that he decides to name all there children with the first initial “A.” When the 12th princess comes, the King badly wants a young boy. The King and Queen have one more child. Unfortunately, the Queen dies. When the King hears that the 13th daughter is still alive, he doesn't want her. He decides to name her Zita, because she is not worthy. He also decides to send her down to the servant’s area and make her a cook. Suddenly when Zita turns 12, all her sisters turn mysteriously ill. With the help of her friends; the switch, the stable boy, and a solider, can Zita save her sisters. Most important though, can she win back her father’s love? I rated this book 4 stars because it has a lot of adventure and mixed up emotions. I would recommend this book to people who enjoy adventure stories, heroes and a bit of magic too. There is also a bit of humor and suspense. The suspense doesn't make your book not go down. The suspense isn't that huge. Overall, I really enjoyed this book and I think you would too. I love "novelized" fairy tales, written from an alternative perspective. This was a good effort at retelling the Twelve Dancing Princesses. Zita is the 13th child, banished to the servants quarters after queen dies giving birth to her. The king had been deeply in love and happy with his queen until she started producing only girls. After 12, he was done with her and then an experience with a neighboring monarch - one with four sons - prompts him to invade his wife's chambers, demanding a son. Th I love "novelized" fairy tales, written from an alternative perspective. This was a good effort at retelling the Twelve Dancing Princesses. Zita is the 13th child, banished to the servants quarters after queen dies giving birth to her. The king had been deeply in love and happy with his queen until she started producing only girls. After 12, he was done with her and then an experience with a neighboring monarch - one with four sons - prompts him to invade his wife's chambers, demanding a son. The implications are that he has lost his mind with frustration and then grief at his wife's death. Zita grows up healthy, happy and fairly well-balanced, surrounded by and apparently loved by the servants. When she asks where her mother is, she is told that she is actually a princess and moves along quite happily knowing now that she is part of a bigger family. That she is part of a bigger family who acknowledges her existence but makes no move to return her to their world, that she is content to be a servant, stealing away to hang out for girl's night with her sisters, that she shows no real resentment, anger or anguish over being abandoned...not really plausible. Ahoy there me mateys! I am a fan of fairytale retellings and so when I saw the title and this cover, I was intrigued. It is a retelling of the 12 Dancing Princesses and I love that story. The highlights of this story were the main character, Zita and her friend Breckin, the stableboy. I liked how a 13th princess was added to the story and how she had to save the day. With the help of her friends of course. The plot does meander a bit and I knew the evil character practically at once so that hampe Ahoy there me mateys! I am a fan of fairytale retellings and so when I saw the title and this cover, I was intrigued. It is a retelling of the 12 Dancing Princesses and I love that story. The highlights of this story were the main character, Zita and her friend Breckin, the stableboy. I liked how a 13th princess was added to the story and how she had to save the day. With the help of her friends of course. The plot does meander a bit and I knew the evil character practically at once so that hampered me enjoyment a little. However Zita is lively and smart and loving. The 12 princesses are basically interchangeable and hard to tell apart. But getting more of the story from the perspective of the working characters of the kingdom like the Cook, soldiers, and such was a nice twist. I also liked the juxtaposition of Zita the servant and Zita the princess. Altogether this book is worth a read but I do not believe I would add it to me favorites shelf to be reread. I have always thought that: A book read once is an acquaintance, a book read twice becomes a friend; but, a book read three or more times, becomes a member of the family! This is actually my second time reading this book, and I enjoyed it even more this time. If I could give it six stars, I would. I have always loved the story of the Twelve Dancing Princesses and marveled at how well they dance as I literally have two left feet. I enjoyed the idea of a thirteenth princess. The story of how her sist I have always thought that: A book read once is an acquaintance, a book read twice becomes a friend; but, a book read three or more times, becomes a member of the family! The story of how her sisters fell under an evil curse was both engaging and interesting. I didn't remember who had caused the curse or why; and it was just as much fun guessing who it could be! This is my favorite expanded retelling of a classic fairy tale since Ella Enchanted. Very well done and enchanting story based on a bit lesser know tale The Twelve Dancing Princesses. The storyteller is Zita, the thirteenth and yongest sister of the famed dancers. She has a clear and honest voice. Zita is a very likeable character. She handles her life challenges with dignity, grace and courage. With lots of plot twists this is a well told story that keeps the pages turning. The copy I read was a This is my favorite expanded retelling of a classic fairy tale since Ella Enchanted. Very well done and enchanting story based on a bit lesser know tale The Twelve Dancing Princesses. Fairytales are my absolute favorite, and my top fairytale has always been "The Twelve Dancing Princesses." The Thirteen Princess was an original, albeit quaint, take on the original tale. I enjoyed this book well enough, and I can definitely picture reading this with my daughter if I have one in the future. While it may not be the most riveting read for adults, I know I would have loved this book as I was learning to read chapter books. This didn't have the best character development or plot, bu Fairytales are my absolute favorite, and my top fairytale has always been "The Twelve Dancing Princesses." The Thirteen Princess was an original, albeit quaint, take on the original tale. I just love a good, sweet, clean fairy tale retelling. This was the 12 dancing princesses retold with a couple other elements of other fairy tales. What I loved most about this story was the main character Zita. She was sweet and strong and carried the story well. I loved the description of the castle and the mold and dampness. This was a fun quick read for girls 10 and up. Re-read 7-2014 Read to my girls 16 to 5. The 5 year old had a hard time and the 8 year old needed some explanation but overa I just love a good, sweet, clean fairy tale retelling. This was the 12 dancing princesses retold with a couple other elements of other fairy tales. What I loved most about this story was the main character Zita. She was sweet and strong and carried the story well. I loved the description of the castle and the mold and dampness. This was a fun quick read for girls 10 and up. This was a sweet fairy-tale retelling, but there's not a lot of depth. I love Zahler's writing, but would have liked a little more character development for everyone. I think that kids in this age-range will really enjoy it because it's enjoyable and quick to read but it had its flaws. Wildwood Dancing is a better version of "The 12 Dancing Princesses" in my opinion. A fairytale retelling of the Twelve Dancing Princesses from the perspective of little Zita, the thirteenth princess, who has been banished to the kitchen and lives as a servant. A nice enough story with no real surprises, though there are a couple of inappropriate allusions that will hopefully go unnoticed by most young readers. I love fairy tale retellings. Even when I know, deep down, that they’re going to be terrible, I still can’t resist them. It’s like eating that last cookie that you know is going to make you feel sick but they are THE BEST COOKIES EVER so how can you resist? This was one of those books. My rarely-wrong sixth-sense that tells me whether or not a book is going to be dreadful was urging me to RUN, but I have really enjoyed the sudden spurt of retellings of the Twelve Dancing Princesses, and how coul I love fairy tale retellings. Even when I know, deep down, that they’re going to be terrible, I still can’t resist them. It’s like eating that last cookie that you know is going to make you feel sick but they are THE BEST COOKIES EVER so how can you resist? This was one of those books. My rarely-wrong sixth-sense that tells me whether or not a book is going to be dreadful was urging me to RUN, but I have really enjoyed the sudden spurt of retellings of the Twelve Dancing Princesses, and how could I really resist? First off, let me clarify that this is a book for younger readers (I think it’s officially in the 9-12 range; the young heroine was 12. However, while the writing was definitely manageable for a reader at that level, I don’t think that I would recommend the story for those who are younger – Zita seems overly interested in kissing and what it is like to by physically close to boys (and specifically one boy in the story), and I really don’t appreciate stories that encourage that kind of thing in such young girls. Anyway, the basic premise of the story is that the king got married and had a wife he really loved except she kept having daughters and she had twelve daughters and it really soured their whole marriage and things got really weird and the king went kind of insane except no one seemed bothered by his actions even though they were pretty cruel and irrational and basically the book doesn’t straight-up say it because it’s for preteens but you are definitely given the impression that he got drunk and more or less raped his wife after they were visited by some neighboring king who had sons because our king was reminded of how upset he was about not having a son (even though the story goes out of the way to say that the oldest daughter is going to inherit the throne and that her father would never dream of letting the throne pass on to someone else so… what’s the big deal about the son then? Just one of the many things that didn’t hang together)…. um where was I? Oh yes, he impregnates his poor, exhausted, abused, mistreated, misaligned wife yet again and then has the nerve to get super upset when she has another daughter. First off, who the heck’s fault is it when someone has a girl instead of a boy? (The male, actually… he’s the one who contributes that particular gene…) And secondly, not like you have a super awesome track record here: You already have TWELVE DAUGHTERS. So the king goes into this fit of rage (and the queen dies from childbirth complications and is probably glad for the escape from someone who apparently only loved her as a potential son-bearer) and decides that this youngest daughter is going to be brought up as a servant. The the author tried to make the rest of the sisters a little more relatable (apparently that isn’t a word? Well it should be) by giving them all names and trying to give them little quirks and whatnot, except all of their names started with an A (in an attempt to make Zita’s name more emphatically different), so it just got super confusing. And I’m really not even going to touch on the actually story of the Twelve Dancing Princesses, the part where they actually start dancing. Suffice to say that it made just as little sense as the rest of the book. The villain came out of absolutely no where, no warning, no hints, and actually absolutely no point. Even after I found out who it was, I was just confused. She tried to explain, but was really unable to come up with any plausible reason as to why this particular person should have been the villain. 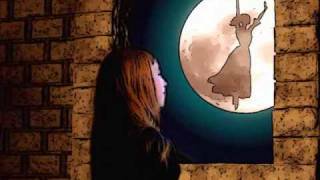 A very enchanting retelling of the fairy tale "The Twelve Dancing Princesses." Zahler's style is simple and refreshing. I love the angle she gives the story with the unknown 13th princess narrating the tale of her older sisters. Great read for anyone who loves fairytales! Zahler created a sweet cast of characters, including a few new additions to the original tale. Overall, though, it is a bit slow going, and the relationships aren't as developed as the could have been had the book been given many more pages. An interesting re telling of the 12 dancing princesses. This version includes a thirteenth princess and lots of magic. Cute 3.5 stars reselling of the old fairytale, that was pleasant if a trifle, but relegated the title character too often to an observer of the action. I grew up reading children's books and never wanted to do anything but write them. I'm the author of THE THIRTEENTH PRINCESS, A TRUE PRINCESS, PRINCESS OF THE WILD SWANS, SLEEPING BEAUTY'S DAUGHTERS, BAKER'S MAGIC, and my newest, THE MARVELWOOD MAGICIANS. I live in the country with my husband and very enthusiastic dog Jinx. Visit my website at www.dianezahler.com.